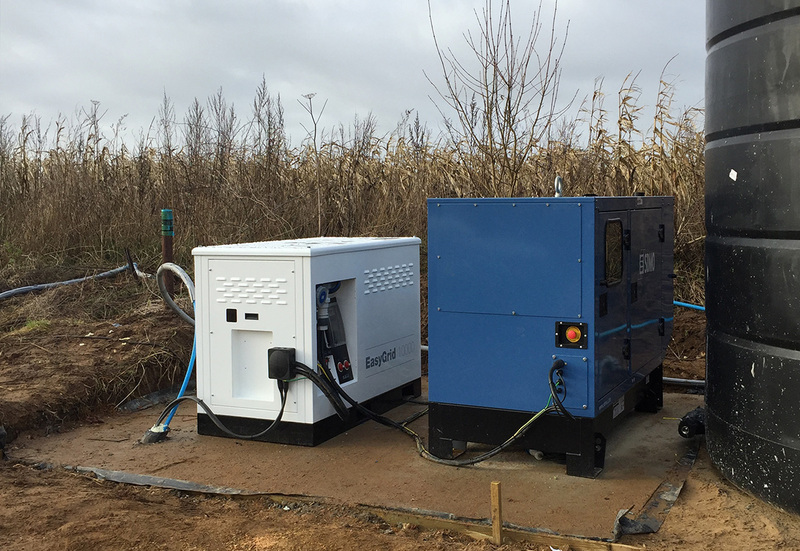 Our latest off grid hybrid power system has recently been installed at a family farm in Suffolk. The farm specialises in the production of Lincoln red cattle. The cattle are shown nationally and the meat eithers goes to top Restaurants in London or is exported to Hong Kong. The farm has built two new sheds to house the breeding cattle in the winter and needed a reliable supply of power for water and lighting. A 3rd shed is being built in the spring to house the show team. On top of this the system was specified so that it will also be able to power a residential property to be built on the site the following year. With this in mind the team at Energy recommended the EasyGrid 10000 with an extended 8kW ground mounted solar array and a 22 kVA SDMO generator. System: EasyGrid 10000 with a 8kW ground mounted solar array and 22 kVA SDMO generator. For this project Energy Solutions were asked to install and commission the entire off grid system. This is a new option for UK customers – many of whom install independently – and one which is proving popular for those who wish us to handle the entire process for them from specification to testing. 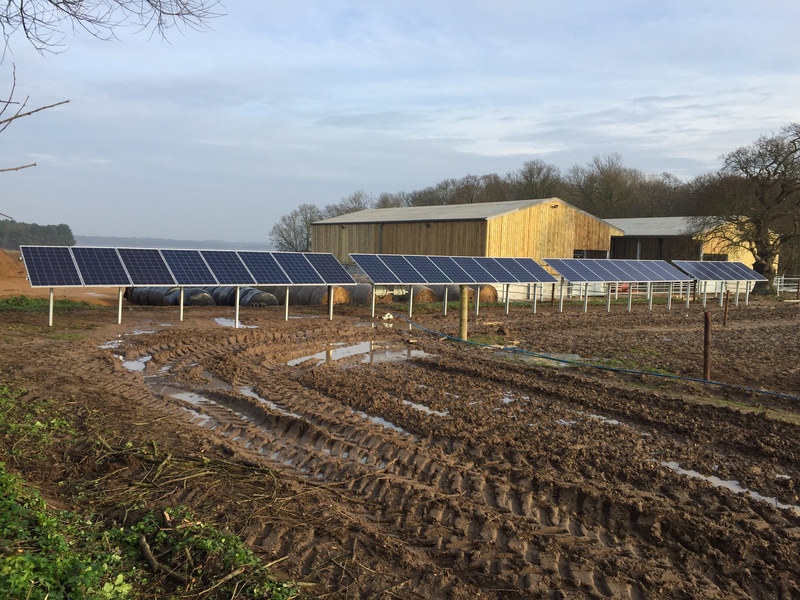 In this instance the Energy team installed the solar array on a ground mount structure, linked the solar strings up with the string combiner boxes, and then undertook the installation of the EasyGrid unit, generator and distribution board. The owner was involved throughout and was able to make final installation decisions to ensure the system was correctly positioned for final housing (a shelter will cover the EasyGrid and Generator). Once all was in place the Energy team undertook final testing and briefed the owner on system maintenance and management. 2020 Emission Reduction Deadlines Are You Ready?